If you think you won’t have to deal with sleepless nights once your baby becomes a toddler, then prepare to be disappointed. While you may have had a couple of long and satisfying sleep for the last few weeks, there are common conditions which can result in your toddler waking up in the middle of the night, and in turn, prompting you to wake up and check on them. Lucky for you, we checked for the five most common ways toddler sleep is disrupted, together with the steps you can take to address them. 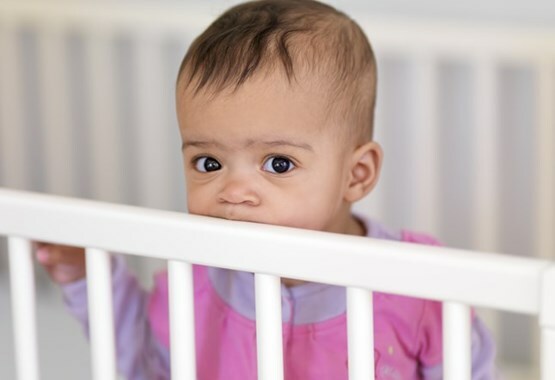 Teething could be the number one reason why your toddler keeps on waking up in the middle of the night even after a seemingly peaceful start of their sleep. It starts around 6 to 8 months of age up to 30 months and above. 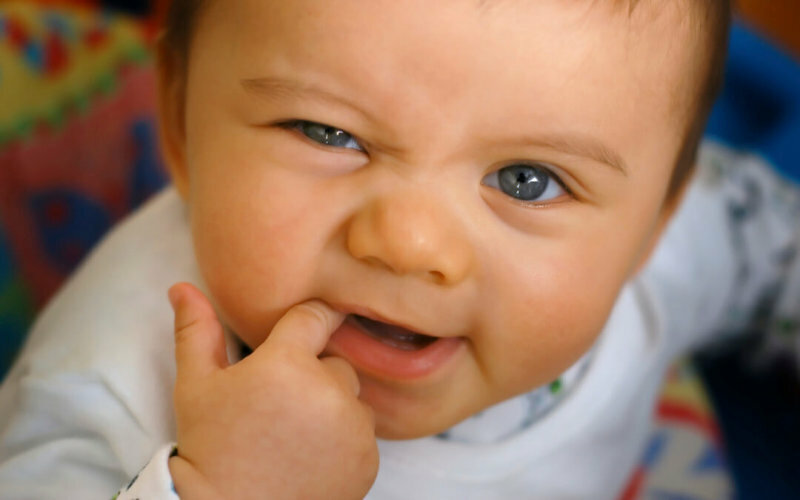 The teething process may become more trying during the toddler years because this is when the molars start to come out. Given that molars are bigger and have more edges than incisors (which should’ve come out during the first year), it can be more painful for your child. Aside from the usual oral remedies you can do to minimize the pain (rubbing cold water on gums and giving chilled teething biscuits and toys), you can offer quiet comfort during the night like rubbing their back or playing soothing music. 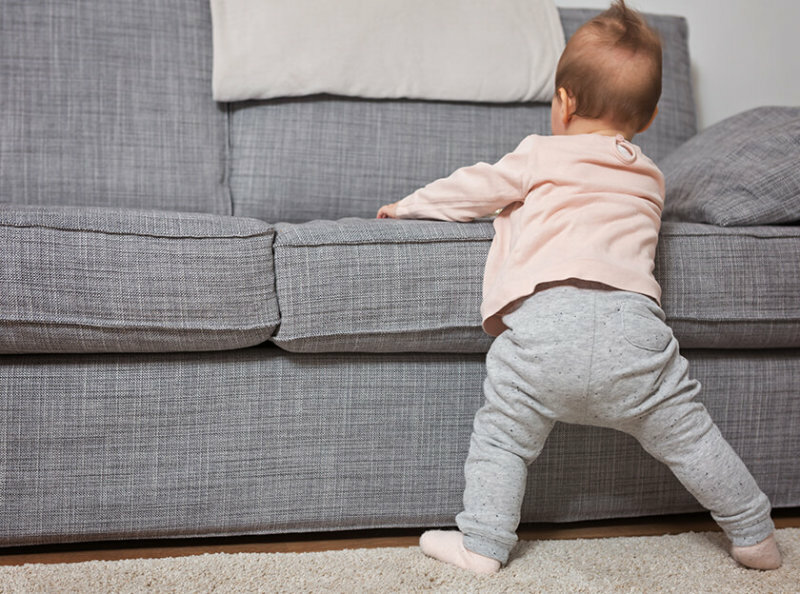 Make sure to do this if the toddler doesn’t comfort themselves first, so you don’t have to get up every time they wake up—they may be able to put themselves back to sleep, after all. Has your child recently learned new skills like squatting, running, or maybe they are learning to form simple sentences? It may be the very reason why their sleep is getting interrupted. Several developmental milestones from when they are born up to two years old may affect sleep as they slowly learn these skills and continue to develop them over time. They may be excited to try out these skills even in the middle of the night, but they might not be able to go back the comfortable position they were before, which is why you’ll be awakened with their cry for help later on. Major developmental leaps, such as walking and talking, will have an even more pronounced effect on their sleep. These also come with extra clinginess, fussiness, and a whole lot of crying, so you’d better be prepared. How can you help them sleep during these events? In this case, all you can do is prepare yourself to have your sleep affected, since you neither hinder nor hasten their learning process—in short, help yourself adjust to the situation. You’ll continue to need some help in taking care of them when they are awake at the middle of the night, since doing so alone will leave you sleep deprived. You and your significant other can take turns doing the “night shift” so you both can recover your sleep and not have a sleepless night marathon. Believe it or not, your child can follow a simple pattern as early as 6 to 8 weeks old. You can set a routine that they can recognize and follow. 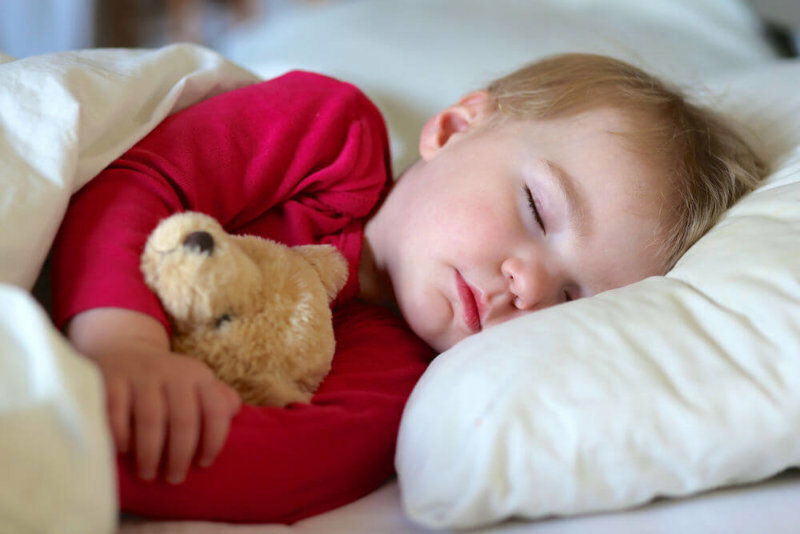 The sleeping routine that you’ve set every night from when they were still babies will be what they remember when they become toddlers, so it’s important to establish a healthy sleeping pattern from early on. For example, you can start the routine by having a night time wash, changing them into a clean pair of diapers and pajamas, and letting them listen to lullaby music or story until they fall asleep. Once they’ve gotten used to the step by step pattern, they’ll eventually know it’s sleep time when step one is started. However, any sudden changes in the routine will disrupt the usual pattern that they have gotten used to. This is their equivalent of being chucked out of their comfort zone, and they surely won’t get to sleep in this situation. For starters, don’t develop a habit that you don’t want to stick to in the long run. A classic example of this is rocking them to sleep: It’s a quick way to make them fall asleep, but if your child associates this with sleep, you’d have to do it every single time, which can become a nuisance if you have to do it every time they prematurely wake up, too. Make sure that you can stick to the sleep routine as close as you can. If a break in the pattern is absolutely unavoidable, make sure to bring it back as soon as you can. Otherwise, you may have to re-train the toddler to the pattern and wait for them to settle with the new routine. Hunger issues during sleep is somehow connected to the above mentioned sleep associations. If you consistently gave food to your child multiple times at night, they may have been conditioned to look for it when they wake up. Since they associated food as part of their sleep routine, they will look for it even when they wake up during the wee hours of the night. The best way to address this is ensuring that your child is full by dinner time, so that he won’t really be hungry come bed time. You can delay serving dinner a little so that your little one won’t need to eat again before going to sleep (e.g. serving dinner at 6PM instead of 5PM). You don’t have to worry that your child’s tummy is growling, and you can be sure of the fact that he or she is only asking for food because of the association, or seeking attention. If his association between food and sleep is strong, don’t stop giving food cold turkey- you can wean your toddler by giving smaller and smaller portions every time they ask in the middle of the night, until you finally reach the point where you don’t give any food in between sleep. At this point, you can say no to your child, offer them water or toys instead, and let them get back to bed with less interaction so as not to further stimulate them. Ever had a night when a lot of exciting things happened, and you find yourself lying awake in bed for hours thinking about all the events that just occurred? The very same thing happens to your child after a long day. If they’ve had a long trip, had a lot of activities for the day, or met with new people more than they’re used to, they may become fatigued which, ironically, will make it harder for them to sleep, since they are processing the events of the day. In this case, prevention is miles better than cure. Don’t let your child become over-stimulated. Let them get to bed when you observe signs of sleepiness such us eye scratching and irritability, even if it’s not yet their bed time. They may resist at first, but if you wait too long before putting them to bed, you’ll have an even harder time since it’ll take longer for them to sleep. If putting them to bed is not yet possible (if you’re outside, for example), try to lessen the stimuli on the way home. Let them listen to calm music, or put them in a quiet environment to further decrease stimulation and encourage sleep once they’re in bed. There are many other reasons why a toddler wakes up at night. It can be an alarming cause like sickness; or something that makes them uncomfortable, like too cold or too hot room temperature; or maybe it’s simply because of a wet diaper. The five things we mentioned above are the more common conditions that can wake your sleeping child not just for one night, but for many nights to come. Now that you know these reasons, you can do a step by step check in tracing why your toddler was awakened, and you can do the necessary procedures to get them comfortably back to sleep.